Welcome to the first edition of the 20th Anniversary Blog. Throughout 2019 on the 20th of each month we will share stories and photos of the Westben journey from cornfield to Barn to International Centre. Reflect back and dream on with us! 1. My husband Brian Finley and I moved back to my home town of Campbellford in 1989 to have our first child after living and performing in London, England. 2. We started doing concert tours across Canada and parts of the US and fell in love with a festival run by the Philadelphia String Quartet called the Olympic Music Festival, two hours outside of Seattle, Washington. The venue was a turn of the century milk barn that housed Chamber music concerts from June to September. As artists we lived in tiny cabins on the property for a week while rehearsing with the other musicians. We performed in the milk barn to an audience on church pews and hay bales, complete with donkeys braying in the meadow. 3. Back in Campbellford we started teaching private music lessons, led the music at our local church and continued to perform across the country. 4. In 1997 with some friends we put on a fully staged production of Jesus Christ Superstar with 100 members in the cast and crew and surprisingly sold 2000 tickets. The support from the church, the cast and community was inspiring. With only 3400 people in Campbellford we knew something special was happening. The following year our production of The Sound of Music drew even more enthusiasm. 5. One sunny afternoon a group of friends gathered on our front lawn and we dreamed of what it would be like to continue this music making on a more permanent basis. 6. Could we renovate the barn on the Westben property into a concert hall, or build a new barn? Could we put on concerts in the summer? 7. In 1999, Brian and I Co-Founded the Westben Arts Festival Theatre, as a not-for-profit organisation dedicated to creating, enriching and integrating professionals and amateurs in musical projects and educational activities. 8. 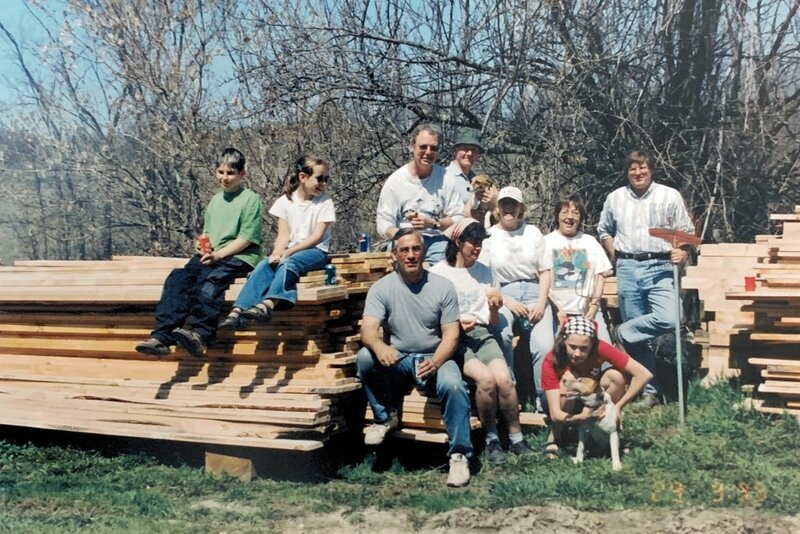 Run by a Board of Directors, Westben received its charitable status in 2000. 9. Our vision for this new 400 seat timber framed Barn facility was that it would be acoustically excellent, accessible for audiences, in both comfort and style, and harmonious with the surrounding farmland. The goal was not to shut out the surroundings, but to have doors that would roll open so nature would be part of the Westben experience. 10. On his bulldozer Roger McGee shaped the corn field, Nicholson Brothers poured the cement pad and Didier Schvartz of Lakefield’s Sun Wood Company, with his own patent equipment, designed The Barn and carved the timbers. Volunteers renovated seats and put on the locally milled siding. 11. 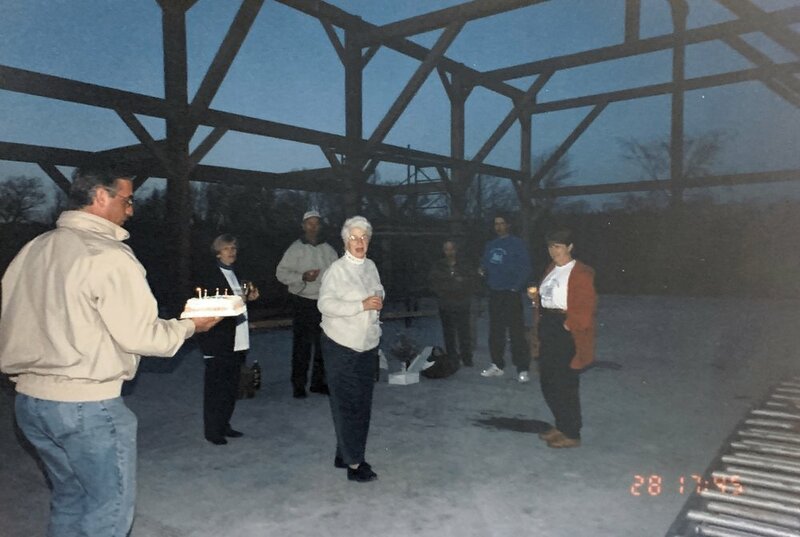 The night the timber frame structure was raised, our two children pulled out their violins and with construction hats on, played the first sounds of music in "The Barn". A small group of volunteers celebrated dreams to come with a toast of champagne. 12. 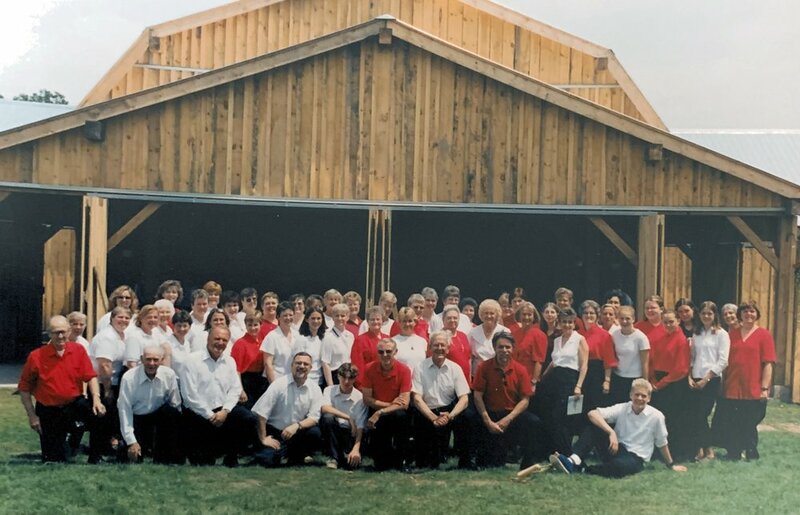 On July 1, 2000 the opening gala concert featured full symphony orchestra and soloists including Mark DuBois, Gerald Finley, Nancy Hermiston, Louise Winter, Stephen Sitasrski, Daniel Warren, the Westben Festival Chorus and Brian Finley and myself. 13. It had been raining for days and the parking lot was a mud bath so the day of the opening gala volunteer Doug Keene found a local business park that would allow everyone to park their vehicles. He then organised a team of volunteers with vans to drive everyone up the road to The Barn and the concert started on time! (Well, almost). 14. When Brian walked onto the stage to welcome everyone, the whole audience stood up applauding. Everyone knew the effort it took to make this dream happen and everyone there had a part in Westben's beginnings. The volunteers, the local businesses, the artists, friends, family, the community. It was a team effort. 15. When Brian and I received the Order of Canada in 2017 for Westben, we made it clear that we took one for the team, Team Westben. 16. That first season had 4 weekends of concerts, and in 2019, our 20th Anniversary Season, there will be 25 concerts of classical, broadway, jazz, folk, fiddle, fun and Indigenous music. And that’s just the summer! 17. 19 seasons, 400 concerts, featuring performances by top Canadians, international artists, and local musicians, 91,000 tickets sold, and over 10,000 learners inspired and guided. Westben has mounted 14 operas (including 2 world premieres) and 10 musicals (including 5 world premieres) and welcomed some of the world’s best performing artists, from Gerald Finley, Angela Hewitt, and the Canadian Brass to Peter Appleyard and Oliver Jones, Tafelmusik, the Vancouver Chamber Choir, Colin Mochrie, Sarah Harmer, and many more. In the past 7 seasons alone, Westben has mounted 22 offsite productions from Kingston to Peterborough to Toronto. 18. In 2018 Westben re-imagined itself as a year round Centre .The Vision - to be a leading, international centre for connection and creativity through music. The Mission - to nurture communities through exceptional musical experiences and at it's core - to bring people together through music. Throughout the year we now have House Concerts, First-Friday Lunchtime Tick Talks, Christmas productions and the new Sunday afternoon Concerts to a Tea. Educational programs include community bands, choirs, Life-Long Learning and school programs. The development of One-of-a-kind Experiences continues with the new enhanced Dare to Pair series including the new Chocolate Voices and a Secret Concert. 19. The next generation of Bennett Finley’s are getting involved as our son Ben heads up the Performer-Composer Residency taking place in July and our daughter Eve will be introducing an Electronic Music Making Workshop for Teens during March Break. 20. Happy 20th everyone. Let's celebrate, looking back and dreaming onwards! The answer became an original piece called The Little Drummer. The story is simple. A young boy, overwhelmed by the trappings of a busy commercial Christmas, finds his inner joy by discovering the music of a street drummer. Davy feels he is losing his family as they throw themselves wholeheartedly into another busy Christmas season. Teased for not knowing what he wants for Christmas, he runs away. In a back street, he discovers a street drummer. Here is music he has never heard before! He is captivated, and realizes that the drummer holds the answer to his restlessness. But what does he really want for Christmas? The drum? Or its music? So starts the story which explores how different traditions can not only find common ground and mutual respect, but how they can revel in each other’s company. What a wonderful journey to have Jordan Mowat together with the 80 voices of the Westben Youth, Teen and Festival Choruses under the direction of Donna Bennett in this 75-minute narrated concert! Musically, The Little Drummer includes a happy convergence of both familiar and excitingly new music. It has been a joy to walk together with Jordan, each of us singing our own songs, and together, singing new ones. We have enjoyed exploring one another’s traditions from hauntingly beautiful Ojibwe round dance songs to traditional Christmas favourites. It has been especially enriching to collaborate together on new music written especially for this event. This is music which is more than the sum of its parts: it is music which nurtures a deeply gratifying musical meeting place that is welcoming, full of possibility and radiant with friendship. Tafelmusik will be just arriving back from touring Australia when they arrive at Westben on Saturday, June 30 for a multi-media and narrated production called Bach & His World. After Westben, Tafelmusik tours to the U.S. and Versaille France. But imagine Tafelmusik in a 400 seat timber-framed Barn on a 50 acre farm near Campbellford, in the rolling hills of Northumberland County with intimate seating and the opportunity to visit on the meadow with the performers after the performance! I agree that sounds wonderful and unique but wait, there is more! 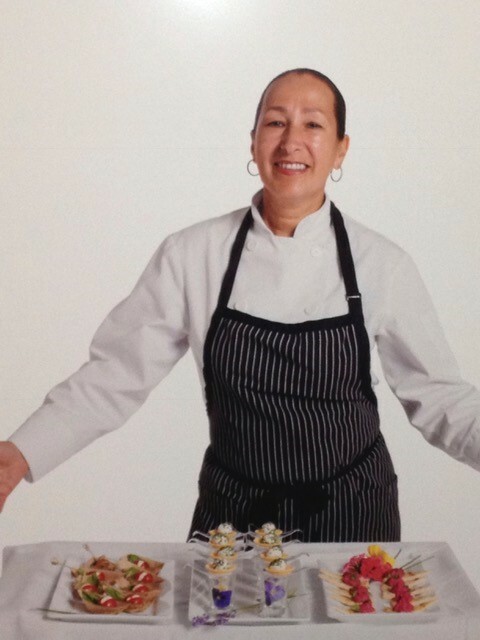 Before the performance, Sommelier Christopher Waters from Vines Magazine in Toronto will be integrating a wine tasting with a delicious lunch prepared by celebrated local Chef Tina Moorey from on the side gourmet. Chef, Sommelier and musicians will all be there to bring you into the unique story. Where else do you get a wine tasting-theatre-concert-dining-meet the cast, chef and Sommelier Experience all in one day? It is always a new experience at Westben. For tickets, menu and information visit http://www.westben.ca/calendar/2018/dare-to-pair-june-30 or call the Box Office 1-877-883-5777. Now on to the music. The Bach & His World production was created by Alison Mackay. Alison is the creator of national and international projects including Tales of Two Cities: The Leipzig-Damascus Coffee House; J.S. Bach: The Circle of Creation; House of Dreams; The Galileo Project: Music of the Spheres; The Four Seasons: A Cycle of the Sun; Metamorphosis; and The Grand Tour. Alison has been performing with the orchestra since 1979. This special performance is a multidisciplinary project featuring the musicians of Tafelmusik, with narrations by Blair Williams and stunning projected images. The program will take you on a journey. Who are the baroque craftsmen who helped J.S. Bach realize his genius? From the moment that Bach was inspired to create a new orchestral work, he required the talents and labour of dozens of artisans and performers to bring his music to life. Bach and His World is a performance of stunning works by Bach, including Sinfonias from BWV 249a, the Third Brandenburg Concerto and excerpts from the Goldberg Variations. Our performance of instrumental works by Bach explores the fascinating personalities who carved violins, hand pulled brass harpsichord strings and tapped pine trees for the resin that would set gut strings into vibration. The concert is a guide to the craft of baroque performance and a celebration of all those who helped J.S. Bach realize his genius and create the musical legacy which still reverberates in our world today. Renowned for its dynamic, engaging, and soulful performances, Tafelmusik Baroque Orchestra is one of the world’s leading period-instrument ensembles, performing on instruments and in styles appropriate for the era of the music. This season we are excited to welcome new Music Director Elisa Citterio: only the second Music Director in Tafelmusik’s history, she takes over from Music Director Emerita Jeanne Lamon. We are Canada’s most toured orchestra, having performed in over 350 cities in 32 countries, and are proud to call Toronto our home. Here we perform some 80 concerts each year for a loyal and enthusiastic audience in diverse venues across the city. The orchestra is joined in performances by the critically acclaimed Tafelmusik Chamber Choir and its director Ivars Taurins. Tafelmusik seeks to transport audiences to the baroque and classical periods through adventurous cross-cultural collaborations, on stage with Toronto’s Opera Atelier, and underground at our Haus Musik series. Our musicians share their knowledge and experience through artist-training initiatives such as the Tafelmusik Baroque Summer and Winter Institutes. Tafelmusik’s recordings on the Sony, CBC Records, Analekta, and Tafelmusik Media labels have garnered nine JUNOs and numerous other recording prizes. Join us at Westben online or at The Barn, Clock Tower or a theatre near you. *2017* “Put on your hat and sunscreen, bring the whole family, and join us at Westben on Sunday July 2 from 1 pm to 5 pm,” says Westben’s Marketing Director Donna Bennett. 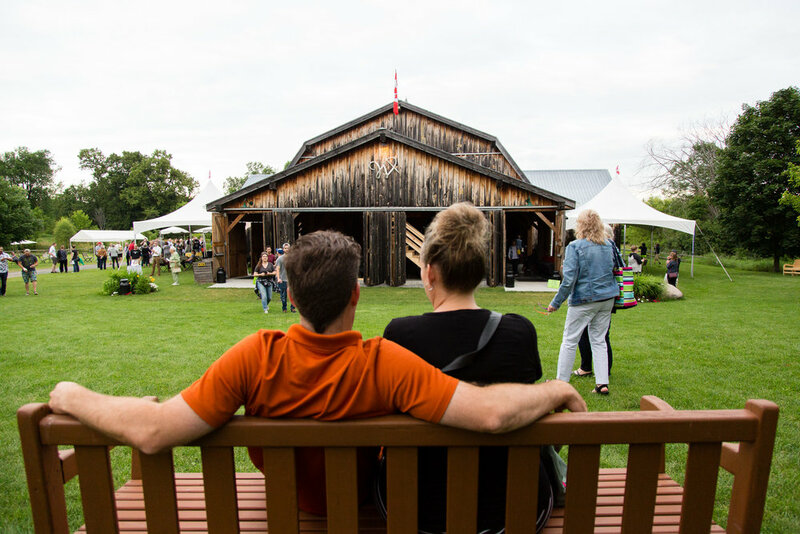 This free event will be a community celebration of Canada with music in The Barn and on the meadow. Music in The Barn has been coordinated by Westben’s Artistic Director Brian Finley, Folk and Rock Musician Ken Tizzard, Country Artist and Recording Engineer Andy Thompson, Jazz Musician Howard Baer and Campfire Crew Children’s Performer Karen Stille. The meadow will be filled with art and photography, activities for kids including banner making with textile artist Sky Morrison, a musical instrument petting zoo by Peterborough’s Long and McQuade, henna and face painting by Artwork and dancing by Northumberland’s Contemporary Dance Collective. For foodies there will be a Beef BBQ by Windswept, Kissed by Fire wood oven pizza and snacks at the Trough. The Westben Dream Canoe, that has been collecting dreams for Canada from area schools, service clubs and community events, will be on display with its over 800 paddles filled with dreams for Canada’s future. The afternoon starts at 1 pm with Ojibwe drummer Jordan Mowat from Alderville. The Westben choirs will perform songs that Brian Finley, Westben’s Artistic Director, has composed based on the dreams submitted by the choirs. At the top of every hour there will hear a new set of performers performing for twenty to thirty minutes and then the celebrations will move outside on the meadow until the top of the next hour. The Wakami Wailers folk band will be performing around the grounds and expect a performance by the Donegall Fiddlers and others. At 2 pm Andy Thompson and his band present Canada Green with music and video in search of maintaining wilderness, creating green space and bringing back sustainable, chemical free, organic farming. Based on memories of what was, as well as possibilities of what can be, this segment explores the dream of preserving Canada’s natural beauty in sight and sound. At 3 pm Booth Street Records artists will be on stage in The Barn showcasing Jane Archer, Muddy Hack, Ken Tizzard and Brian Finley. At 4 pm is the world premiere of Sunrise for Sally, a spoken word poem set to an original music score by local jazz bassist Howard Baer and created by Nikki Fotheringham which curates the reflections of three generations of Canadians. A love letter to Canada, the narration travels through three soulful sound panels representing the past, the present, the future. This dance of music and prose will be performed by local and area musicians and narrators to a backdrop of work by local artists. Concerts at Westben continue until August 6 and offer up a multi-genre festival program once again, capturing performances of classical, jazz, folk, broadway, fiddle and fun! On the classical front, audiences will be treated to Canadian greats, including pianists Angela Hewitt and Jan Lisiecki to the Canadian Brass, the Rolston Quartet (winners of the 2016 Banff String Quartet Competition) and international tenor legend Michael Schade. Jazzers will be thrilled to hear two-time JUNO winner, Emilie-Claire Barlow while folk-fans will jump at the opportunity to hear 2017 JUNO Song-writer of the year nominee Donovan Woods! Keeping up the laughter, The Arrogant Worms will appear. New at Westben this summer will be the unique one-of-a-kind experiences on offer: pianist Rashaan Allwood will interpret bird calls “impromptu” on a piano situation at a surprise outdoor location in Ferris Park, while a naturalist will guide adventurers on a bird-watching journey. While piano technician, Daniel Wiersma, will guide curious audiences into the heart of a Steinway - dismantling one on the spot. Recording Engineer Andy Thompson takes participants to the magic of the recording studio, recording and editing their own piano performances. Finally, if you have ears, a cellphone and an imagination, there is a wondrous opportunity to explore a new relationship with nature by learning and employing new techniques in listening to your surroundings in a guided experience with Parker Finley. If you are looking for some tuneful and silly escapism or Grand Master Fiddling or soothing Folk songs, then Season 18 at Westben is the place to be. Those incredibly funny Arrogant Worms are back to The Barn on Friday, July 7, 7:00 pm in TGIFun! with their fast, furious, and family friendly comedy in music. They are celebrating their latest release, The First Farewell Album, which features songs about such important topics as, who is the greatest Canadian (Dwayne), fashion (Jean Shorts), and alternative forms of transportation (Blimp). You’ll laugh, you’ll laugh some more, you’ll learn about Canadian geography! Come early and enjoy Sausage-on-a-Bun from Windswept 5:00 pm to 6::30 pm (please pre-order). I am also really excited to introduce master singer-songwriter Donovan Woods to Westben with his intimate, compelling story telling on Friday, July 14. With more than 14.5 million streams on Spotify, songwriter Donovan Woods compositions have been lauded as “a very simple beauty” (Entertainment Weekly), “a stark, stunning ballad” (Rolling Stone), and “an emotional wallop” (Billboard Magazine). In his latest single, “All Mine,” Woods discovers the elusive silver lining – that beautiful moment when you realize you’ve broken free of someone else’s expectations. His music for movies and television includes his song My Cousin Has a Grey Cup Ring which was used in commercials for the Grey Cup. At the 12th Canadian Folk Music Awards, Donovan won the award for English Songwriter of the Year and in 2017 he was nominated for a JUNO as Songwriter of the Year. Come early and enjoy a BBQ on the meadow starting at 5 pm by Cultivate Festival Founder Jeff Alan Bray. If you enjoyed the Leahy Family last year at Westben then you will love Everything Fitz! Old-time fiddling and Ottawa-Valley step dancing with an incredible family which includes three-time Canadian Grand Master Fiddle Champions and Ontario Open Step Dance Champions. Natalie MacMaster calls their performances “a beautiful blend of gorgeous fiddle music, and top rate, absolutely exhilarating dance routines”. See the Fitzgerald Family on Sunday, July 16, 2:00 pm at The Barn after their grand tour across the US, Canada and the United Kingdom. But, first, follow the Dream Canoe to Westben’s Free Canada Dreams Concert on Sunday, July 2. The afternoon starts at 1 pm with O Canada followed by Ojibwe drummer Jordan Mowat from Alderville and the Westben choirs. At 2 pm Andy Thompson and his band present Canada Green with music and video in search of maintaining wilderness, creating green space and bringing back sustainable, chemical free, organic farming. At 2:30 the Donegal Fiddlers perform on the meadow with a backdrop of a meadow full of activity, art displays and fun for the whole family. BBQ by Windswept and Pizan Pie wood oven pizza and snacks at the Trough will be available. The Wakami Wailers will also be wandering the grounds performing throughout the afternoon. At 3 pm Booth Street Records artists will be on stage showcasing Jane Archer, Muddy Hack, Ken Tizzard and Brian Finley and at 4 pm is the world premiere of Sunrise For Sally, a spoken word poem set to an original music score by local jazz bassist Howard Baer and created by Nikki Fotheringham. To conclude the afternoon all the performers and the audience will join in the theme song for Canada Dreams. The 800 plus dreams will be on display digitally and in the canoe. For more information about Canada Dreams please contact the Westben Box Office or visit westben.ca This July 2 Canada Dreams initiative is made possible by the Community Fund for Canada’s 150th, a collaboration between the Campbellford/Seymour Community Foundation, the Government of Canada, and extraordinary leaders from coast to coast to coast. 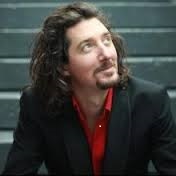 Brian Barlow, Drummer, Composer, Arranger, Director of the PECounty Jazz Festival and all round great guy! Get your calendar out and highlight 12 noon on the first Friday of the next few months, starting with Friday, April 7. Join us at the Clock Tower Cultural Centre and make sense out of what you hear! Join special guest artists for 60-minute chat-concerts designed to enlighten upcoming performances at The Barn. These Pay-What-You-Can events are informal, fun, fascinating and for all ages. Bring your lunch and your curiosity. This series is sponsored by Master Sub. Drop in to see John and pick up a sub specially made for you on your way to the Clock Tower at 36 Front Street in Campbellford. John Papanikolaou, owner of Master Sub, has been a supporter of many events in our community. His community spirit is inspiring and we are all lucky to have him in Trent Hills and really, have you ever met someone more consistently friendly and welcoming? It’s always a pleasure to pick up my favourite Greek salad wrap at Master Sub. The next Tick Talk on Friday, April 7 at 12 noon is called “Notes on Jazz” and Trent Hills’ bassist Howard Baer and his jazz pianist buddy Paul Grecco will share notes about what makes jazz jazz. Howard and Paul will chat, answer questions and perform. This summer at The Barn, Howard appears in Lenni Stewart’s Social Club and at the Westben Jazz Fringe Festival. May’s First-Friday Lunchtime Tick Talk (May 5), is called “For the Birds”. How do you make a piano sound like a bird? Pianist Rashaan Allwood will visit the Clock Tower from Montreal to introduce the music and art that he will present later at The Barn concert in July called Bird Songs. Rashaan is also featured in the One-Of-A-Kind Westben Experience this July called Find the Birds, Find the Pianist. This experience must be reserved as numbers are limited. The small group will meet at the Ranney Gorge Suspension Bridge, greeted with coffee from I Am Coffee and a Doohers’ treat, then given a bird and nature walk in hopes of finding not only birds, but the pianist (Rashaan) who will be at a piano ready to perform, in a secret location in Ferris Park. The Experience concludes with a delicious breakfast with Rashaan and the Park Naturalist at Antonia’s Bistro. Visit www.westben.ca for details or call the Westben Box Office 705-653-5508. But first, meet Rashaan, the young pianist who won 100% at his ARCT piano exam, at the Clock Tower on Friday, May 5 at 12 noon. The first Friday lunchtime Tick Talk in June is a chat about the Big Band era. What made Buddy Rich tick? Jazz drummer Brian Barlow on June 2, illuminates the incredible life and times of fellow jazz drummer Buddy Rich and some of his favourite singers including Sammy Davis Jr. and Mel Tormé. You can see Brian’s amazing drumming skills at his Brian Barlow’s Big Band show at The Barn in August called Big Band Buddies, which pays tribute to Buddy Rich and friends. But first, join us this Spring at the Clock Tower Cultural Centre on the first Fridays of April, May and June at twelve noon for First-Friday Lunchtime Tick Talks. Bring your lunch and your curiosity. Do you have a day of performance ritual? I don't have many rituals before performing other than forcing myself to rest as much as possible, doing just a light vocal warmup, and practicing a specific short version of Tai Chi taking 7 to 10 minutes that has many benefits, and which I've been doing daily for many years now. Life in Warkworth is a pleasant in many ways. From the incredible scenic beauty, the purity of our drinking water, taken from Mill Creek that runs behind our house, the source of which is a spring outside of town. There is also a very generous and compassionate sense of community among the people who choose to make this place their home. We knew no one when we moved here five years ago and were immediately welcomed with open arms. There are also surprises every now and again such as waking up to find 30 wild turkeys in our backyard like we did just the other day. Of course, I can't pass up the opportunity to plug the Warkworth Curling Club, of which I'm a proud, if not accomplished member. Anyone who'd like to try this very interesting and fun sport would be more than welcome to join us on any Monday night from 7 to 9pm. Is there a teacher or mentor that is special to you? I've been very fortunate to have had a number of mentors/teachers/cohorts over the years. From Mr. Rock 'n Roll himself, Ronnie Hawkins, to Terry Kine, a producer of variety television at the CBC in the mid-sixties, to Peter Carter, the director of the first drama I did on camera, to Johnny Bassett Junior, one of the major producers of HAIR in Canada, to Ron Collier, a brilliant musical composer/arranger, to Bill Glassco, the founder and first artistic director of the Tarragon Theatre, to Brian Finley and Donna Bennett, who continue to impress, inspire and, fortunately, hire me to be part of their seemingly never ending gift of uplifting entertainment created for, and with the help of the entire community. What are some of your favourite shows that you have been in? Some of my favourite shows include, The Good Company, Creeps, Leaving Home, Hair, Les Miserables, The Crackwalker, and Kisses On Broadway this past July at Westben. Scrooge & his new friends are coming to Westben! Humbug or Merry Christmas. Whose ever side you are on, the chipper nephew Fred’s, or the “What reason do you have to be Merry” Scrooge, the new production of Westben’s A Christmas Carol is bound to put a smile on your face and warmth in your heart. Speaking of warmth, you may brave the elements and see this concert at The Westben Barn on November 26 at 1 pm (before the Santa Claus parade) or November 27 at 3 pm. The Barn will be festively decorated and the complimentary homemade cookies and hot apple cider will be ready for you. However, if you like it toasty, come to Norwood United Church December 3 at 3 pm or St Andrew’s United Church (now called Emmanuel United) in Peterborough December 4 at 3 pm. This new production is a narrated concert based on Charles Dickens’ Classic Story with traditional seasonal music and original music by Brian Finley. This will be veteran actor Frank Moore’s debut in the role of Scrooge. Frank Moore, who now lives in Warkworth began his life in Bay-de-Verde, Newfoundland, and grew up in Toronto from the age of seven. His quest to become a singer/songwriter began fresh out of high school, playing clubs in Yorkville in the Sixties. After being mentored by rock ‘n roll legend, Ronny Hawkins, he soon became a regular performer on the CBC variety series, The Good Company. Frank also owes a debt of gratitude to director, the late Peter Carter, for giving him his first taste of acting on camera in the CBC short film, God’s Sparrows. Another major influence was the legendary musician/composer/ arranger, the late Ron Collier, who applied his great talent and expertise to arranging Frank’s original songs for the movie, Face-Off! After appearing in the Toronto production of the musical, HAIR, in 1969/70, Frank was hired by the late Bill Glassco, to appear in the first productions of the Tarragon Theatre. Since then, he has spent most of his time in the world of acting, but whether it be appearing in some of Toronto’s major stage musicals like, Les Miserables, or by including it in his own writing, as in his novella, The Return, music continues to be an integral part of his life and work. Frank recently performed at Westben this past summer in the Kisses on Broadway show. Frank will be joined with his new friends from the Westben Choruses including Daniel Benjamin as Fred, Dan Foster as Bob Crachit with his family played by Norah Watson, Sophia DeJong, Maddie Wynn, Janey King with Lewis Stille and Benjamin Marshall sharing the role of Tiny Tim. Michael Nitsch will play the ghost Marley, Lyla Elliott Christmas Past, Ivan Stille Christmas Present and the Spirits, Canvassers, narrators, business associates, undertakers and other roles will be played by the Westben Youth, Teen and Festival Choruses. The 80 voices of the Westben Choirs will be led by myself and Brian Finley. Christmas is coming and the goose is getting fat so time to put your tickets for the Westben Christmas Carol concert on your list. Tickets are available on www.westben.ca or through the Box Office 705 653 5508/877-883-5777. Hope to see you at this seasonal favourite. Singing and Horseback riding are two of my favourite things to do. (Okay baking pies is fun too as long as it isn't "Too Darn Hot"). Singing and riding of course take practice and skill but is so good for the soul. I love sharing a new song with an audience (equine or otherwise). Before and after a concert I love to spend time with our horse BJ and donkey Peppe. They seem to like Andrew Lloyd Webber more than Dvorak but maybe it's has more to do with the type of treats I have in my hand at the time while humming. Have you heard Peppe singing to the audience during a concert yet? He needs work on his breath support. I'm so pumped to come up to Cambellford for a second time this year! The summer Broadway concert was a huge success for me personally and professionally. One doesn't often get a chance to perform great Broadway music with such a diverse and talented cast! After the concert I left with my girlfriend for a Westcoast cycle trip through the Okanogan's Kettle Valley in BC. 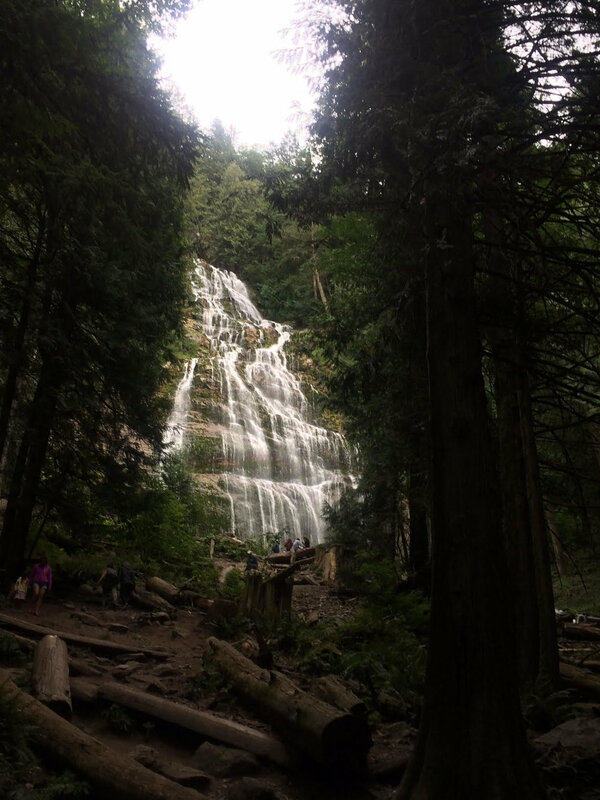 We drove through Jasper for some hiking and then started the cycling through the Penticton sections of the KVR and ended up eventually in Hope, BC about 4 days later to finish with a hike to the stunning Bridal Falls. It's always a treat to come up to Cambellford and look forward to making music with these talented group of musicians! Campbellford is definitely close to home for me. I've always had family there (my mom's brother and his family have always lived there), so it is so special to be a part of Westben and to be close to home! Balancing teaching and performing, it can be tricky sometimes. Throw a young family in there, and I often wonder how I get things done! Schedules can be crazy, and fatigue often sets in, especially at certain points in the year. However, I couldn't imagine my life being as rich and, quite frankly, as happy without doing both. My performance experience enhances what I do in the classroom, and my classroom experience enhances all aspects of my performing. I am really lucky to have both! Singing is my true passion but I have a great love for film as well. When not singing I often work in the film industry, doing mostly background, (extra work) or stand-in for some of the leads on various shows eg Suits. Last season, I was fortunate to sing on a Christmas episode of Saving Hope and also in a Hallmark film called Christmas Inc.
"As for prep before Les Miz, (T.O. Production) initially I was drinking a home-made, warm mixture of honey and lemon for my throat, followed by an overzealous vocal warm up, thereby negating most of the positive effect of aforementioned mixture. Then I would eat a much too generous amount of raw garlic, endearing myself to fellow cast members who showed their appreciation by never crowding too near me while on stage. As the run progressed, I became less obsessive with all of the above, to the great relief of the cast, crew, and also my family." From Brian Finley: "My new (?) 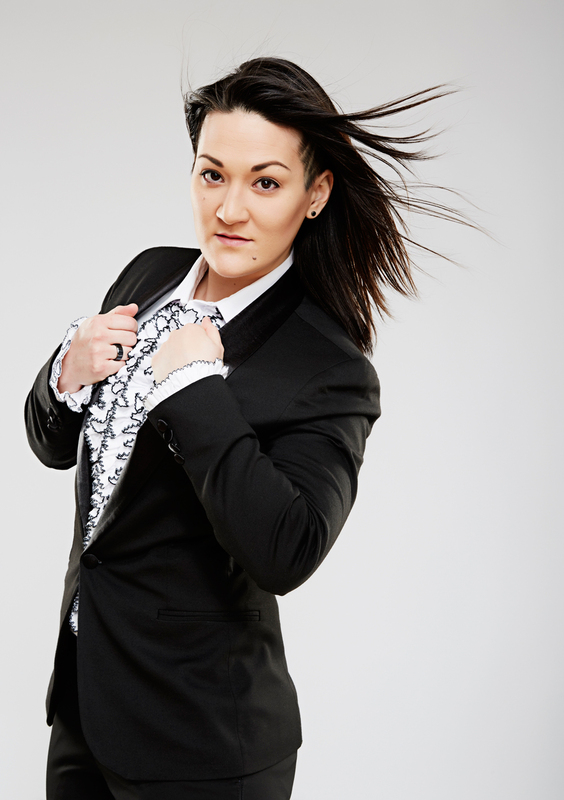 idol is Nat King Cole – his singing of Autumn Leaves which I found when researching for this show is just amazing!! (“Unforgettable” you might say!)" Brian will be performing Autumn Leaves at the Chestnut Cabaret on Sunday, September 25 at 2 pm. Frank Moore and I crossed paths when I came in to the original Toronto company as an understudy for Javert. Tom Goerz, the original TO Javert tore ligaments in his knee stumbling on the street car tracks and was out for 6 weeks. I remember him playing the Bishop and his Valjean was stellar. Performing 8 shows a week became the routine then. You live your life like everyone else and you go to theatre when it's time to work. Except, of course, when our son Nick was born... He was in the ICU at Sick Kid's for 2 weeks. They set up cots for Gabrielle and I to sleep on because he needed to nurse every 2 hours. I'd walk to the Royal Alex to do the shows and spend all other time at the hospital. I was so tired that when all of the revolutionaries were sleeping on the barricade during BRING HIM HOME, I would actually fall asleep. We touched base with Tenor Adam Fisher to find out what his experience has been working here to show readers Westben from a performer's perspective. Kisses on Broadway continues to run until tomorrow - this marks Adam's 5th season with us! 1. Are you a coffee drinker? Where have you been going for your morning fix? I'm an avid coffee drinker, and usually enjoy my coffee at home in the mornings, but if I want a treat? I head down to Dooher's for a coffee and a couple oatmeal jams. Yum! We wanted to touch base with Soprano Caitlin Wood to find out what her experience has been working here to show readers Westben from a performer's perspective. Kisses on Broadway opens TODAY and runs until July 23 - it marks Caitlin's Westben debut. Morning coffee here in Campbellford comes with a beautiful view! My lovely billets Paula and Wayne have a stunning garden and that is where I enjoy some Java in the morning. With chirping birds, a cool breeze, and of course some delicious coffee it is the perfect way to start the day! I always look at a piece through the lens of my character. "The only thing constant is change." This show illustrates that point while giving us the opportunity to realize the simple things in our own backyards can be wonderful.